Regardless of this saturated protein push, there are still some who aren’t getting enough. Vegetarians and those who restrict and under-eat, says Blatner. It’s hard to identify who isn’t getting enough because our intakes are based individually. 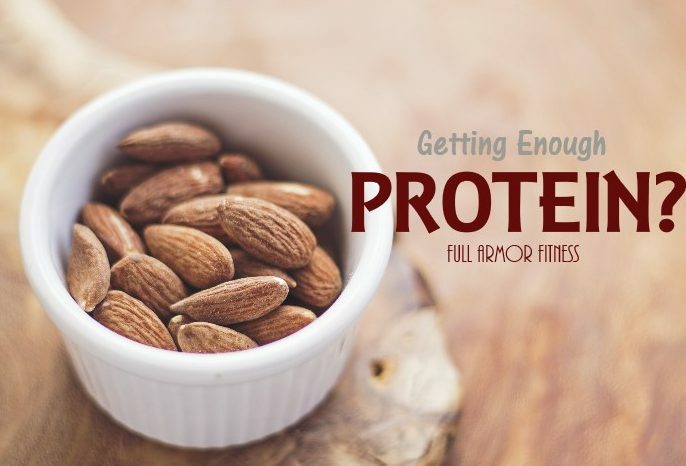 Our weight, height and activity level for starters all play roles in the amount of protein we should be consuming daily. “Our skin is a huge immune organ because it protects us from the environment,” says Blatner. Due to shortage of protein, you may notice cracks or tears, potentially exposing you to pathogens and leading to infections. Your protein at meals can help time-release the carbs for steady energy. This will reduce blood sugar spikes. If you’re relying only on crackers, pretzels or bread, you’ll get energy, but it just wont be for the long haul, followed by the fog. We all know that protein is essential for building muscle. If you don’t get enough of it, your muscles may start to shrink over time. As a result, you may feel weak and unable to do the exercises you once excelled at. “Protein is needed to build all the compounds in our immune systems,” says Blatner. If you seem to be infection prone or catch the cold more than your friendse—and you’re in good health— your deficient food friend, protein, may be to blame. “If all you ate in the morning was a handful of cereal, you’re going to get energy right away, then your energy is going to wane,” Blatner says. One of the first signs you’re low on protein: You start craving sweets and feel like you’re never quite full. One of protein’s biggest chores is to keep your blood sugar regulated —which means if you’re lacking, your glucose levels will be all over the place, encouraging you to reach for a quick fix like candy. So how do you think you are doing? Feel deprived or just about right?